If you’re going to release an album these days and make any kind of splash with it – any kind of cultural impact – then you need to do something big, and you need to do something innovative. Beyonce brings us Lemonade – a visual album that premiered on HBO, and then appeared on Tidal, Jay Z’s streaming service. It’s Beyonce so, to a degree, people are always watching. She is pretty compelling, and though her personal life does draw some small amount of attention, it is most definitely her work that keeps people coming back. She works hard and she turns out music that is compelling and generally pretty high toned. Like most great art she is taking a personal story and painting it in universal colors, and she is also addressing some big topics such as Black Lives Matter. She has mothers of black men who have been killed holding their pictures in a chapter called Resurrection, and other images addressing race and culture. She’s telling a story – a visual album. It’s great to see an artist as big as she is still interested in doing something new. Beyonce and Jay Z regularly make Most Influential lists, and sure, the fashion is a big thing (presentation is important) but the fact that the music and the videos continue to be presented in an aesthetically compelling way is the reason why she has all that attention in the first place, and it is the reason people keep coming back. It would be nice if more artists took this to heart, and didn’t add to the churn, and instead created something that is a piece of art, and an event – something that makes you stop and take time out of your day to enjoy it. 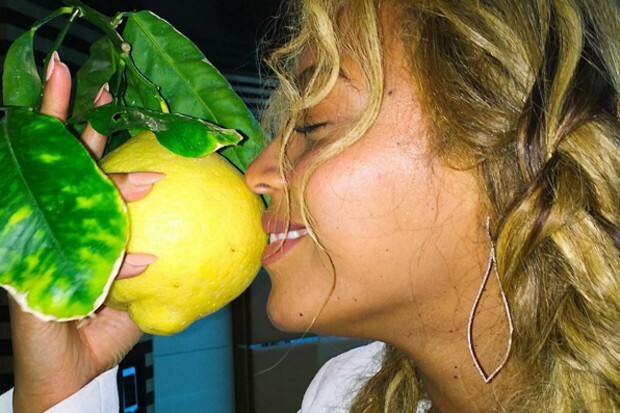 It’s been marketed well – with hints being dropped here and there about something coming out that had the Beyhive (Beyonce’s fans) in eager anticipation,and the fact that Lemonade isn’t necessarily what was expected makes it even greater. To release something without leaks these days is an amazing feat. Some times the leaks steal a little from the eventual product. A little bit of mystery works wonders, and with a great product people are going to be even more pleased.